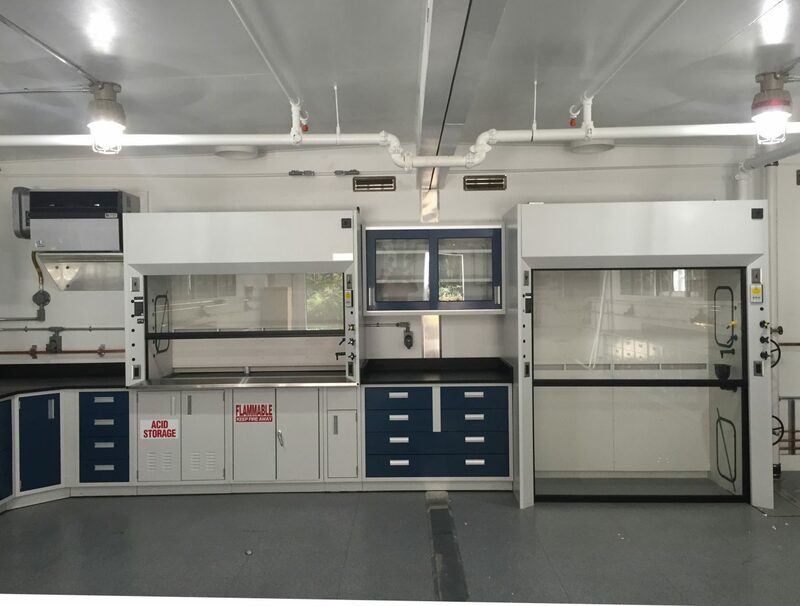 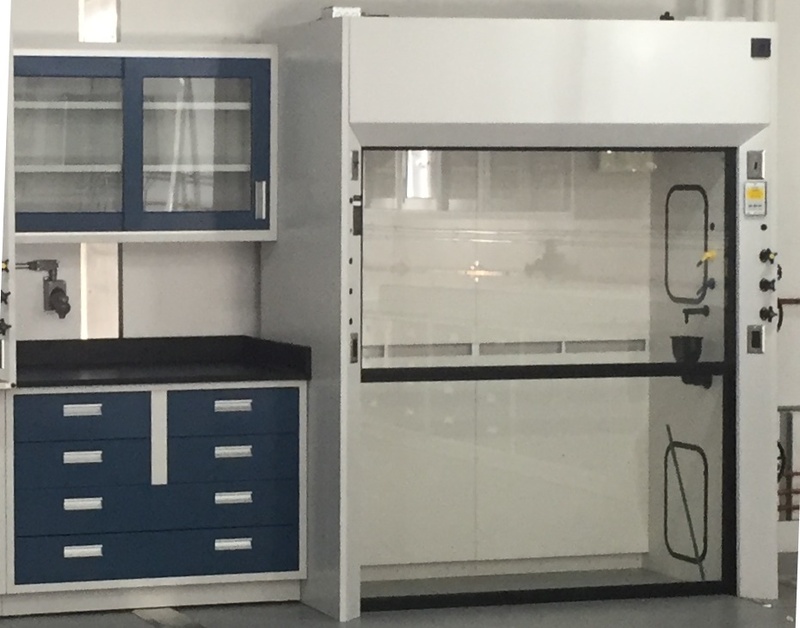 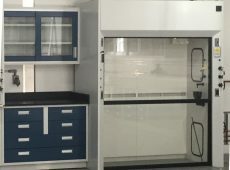 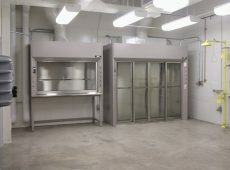 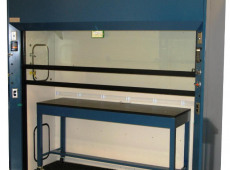 Large apparatus or complex set-ups may require the use of a Fume Hood specifically designed to meet these requirements. 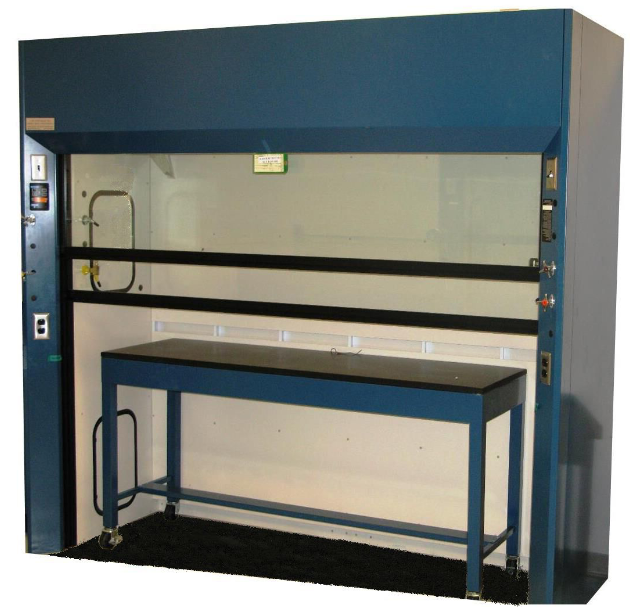 The Walk-In Fume Hood has two vertical rising sashes that allow you to roll in large equipment or portable work stations. 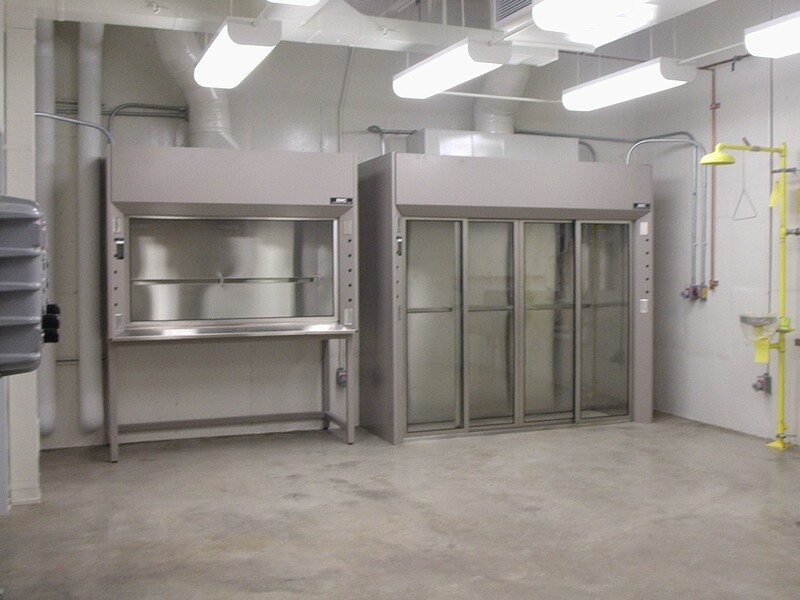 A variety of optional service fixtures are available from LOC for installation in the Walk-In Fume Hood. 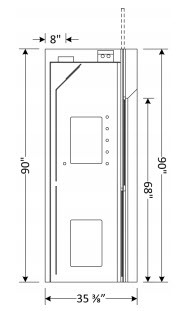 Two independently operating full view vertical rising sashes. 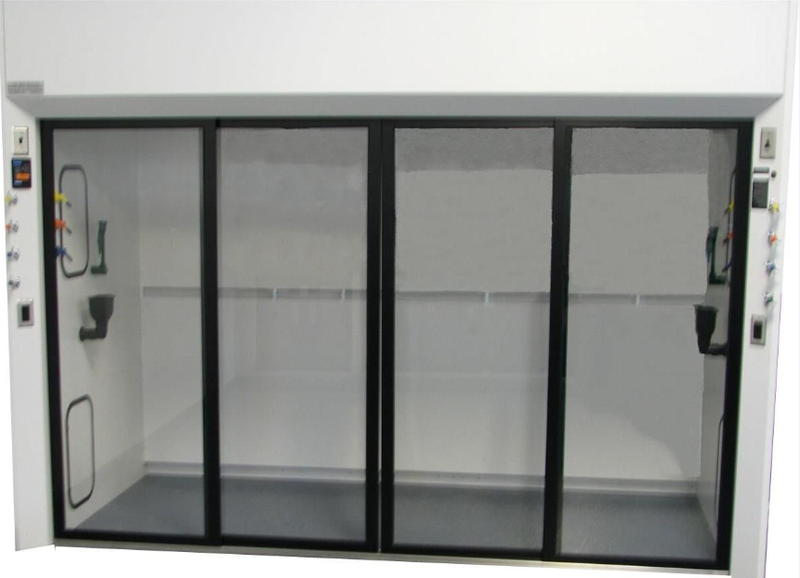 Sash is 7/32″ laminated safety glass with full width flush PVC pull. 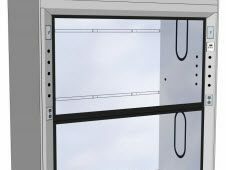 Counterweight provides one finger operation. 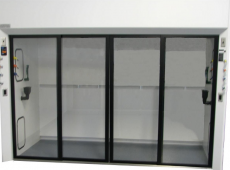 Standard “Resin-Chem” Liner with removable access panels. 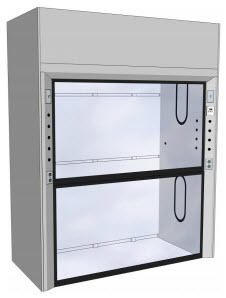 Double wall construction for ease of routing service piping.